Why should Australian tourists take Hanoi city tours by bus? Hanoi is a well-liked destination which should be included in your Vietnam tours. It is famous for its beautiful landscapes, historical buildings as well as gentle people. If you want to visit Hanoi in an economical way, why don’t you try taking Hanoi city tours by bus? Certainly, it will give an interesting experience in your Hanoi tours. Buses appeared in Hanoi in around mid-2001. Immediately, this new means of transportation received the fine response of a large number of Hanoi people. 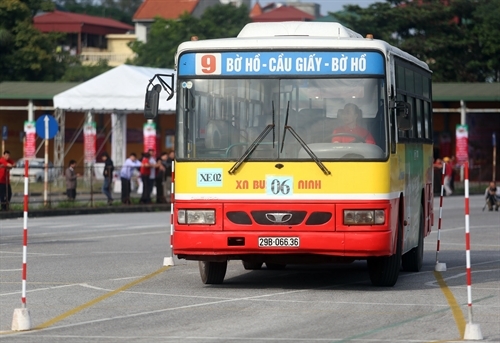 Over time, buses do not simply serve the need to go to school or work anymore but they are also chosen as a unique means to take Hanoi city tours. 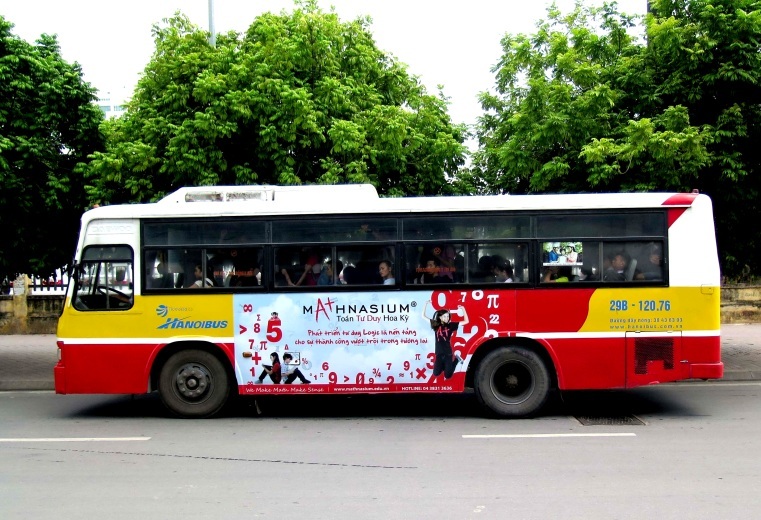 Inherently, the two prominent colors of Hanoi bus are red and yellow. This has become a familiar image to a lot of Hanoi people as well as tourists in Hanoi tours. As for the ticket fee, it will take your from 6,000 VND to 40,000 VND for both departure and return, which is considered to be a low-cost means to travel around Hanoi. Generally, motorbike is the favorite choice of most Australian tourists in Hanoi city tours. It is such a convenient means of transportation that you can go to anywhere you want, even go through some small alleys to discover the beauty Hanoi Old Quarter. However, you will get difficulties if you do not know the way of Hanoi in a clear way. Otherwise, taking the bus just requires you to remember the number of the bus and its route. This can help you avoid being lost and save a large amount of money in order to spend on other activities. In addition, traveling by bus will ensure that you are safe and not in trouble with parking lots overloaded during your trip. From My Dinh bus station: taking the bus number 33 to go West Lake. Dropped off there, you can walk around to visit West Lake, Tran Quoc Pagoda and Truc Bach Lake. After that, enjoying Pho Ngu Xa and walking along Phan Dinh Phung street or Hoang Dieu street will be an appropriate idea. From Hoang Dieu street, you also take the bus number 33 to Le Hong Phong street so that you can visit Ho Chi Minh Museum and Ho Chi Minh Mausoleum. Then walking along Dien Bien Phu street will lead you to the flag tower of Hanoi and Lenin Park. If you want to visit Fine Arts Museum, continuing walking along Nguyen Thai Hoc street. From Nguyen Thai Hoc, taking the bus number 02 to go to Opera House. After admiring the ancient French architecture of Opera House, you can walk along Trang Tien street and buy souvenirs at Hang Gai or Cau Go. From Long Bien: taking the bus number 15 through Chuong Duong Bridge and Dong Anh District, you will go to Soc Temple and Thanh Chuong Viet Palace Thanh Truong. Especially, you can visit Bat Trang Village from here by going along the Red River dike. From Yen Nghia Bus Station: taking the bus number 75 running along National Route 21B to go to Huong Pagoda. From Tran Khanh Du parking lot: taking the bus number 35 to visit Thong Nhat Park, National Cinema Center, Metro Supermarket and Hoa Binh Park. 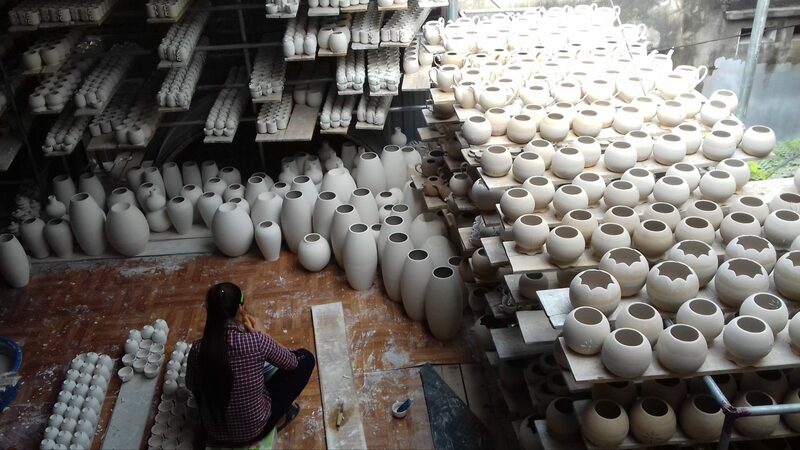 Well, in your Vietnam tours, taking buses to admire the beauty of Hanoi will not only give you a new travel experience but also help you discover the daily life of Hanoi people. Let’s plan for your Hanoi city tour by bus now to see how interesting it is!